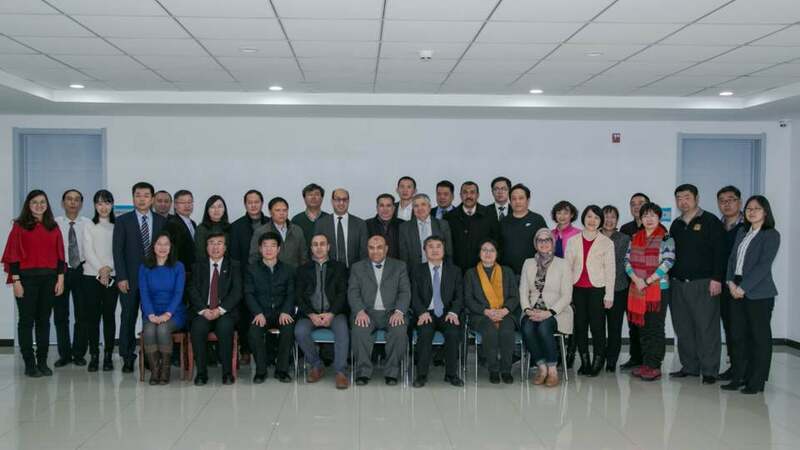 AWC has recently attended several CWPF S-S cooperation events, including the Remote Sensing Technology Training Workshop in Beijing, China (Jan 15 - Feb 5) and the S-S Knowledge Exchange Study Tour to China (Jan 29 - Feb 5), arranged under the MENA Regional Coordination on Improved Agriculture Water Management Project, financed by the China-World Bank Group Partnership Facility. The main objective of the study tour is to share the advanced Chinese Remote Sensing technical tools, practices and experiences of its application on China’s agriculture and water management. While also also foster technical and professional cooperation between China and MENA countries and support technical and institutional capacity building on improved agriculture water resources management in the respective project countries in MENA region. Participants included high-ranking officials and experts from the project countries, including the Egypt, Jordan, Tunisia and Lebanon and Arab Water Council (AWC) in MENA Region.